We are a locally owned auto repair center providing BMW owners with quality repair at a fair price. 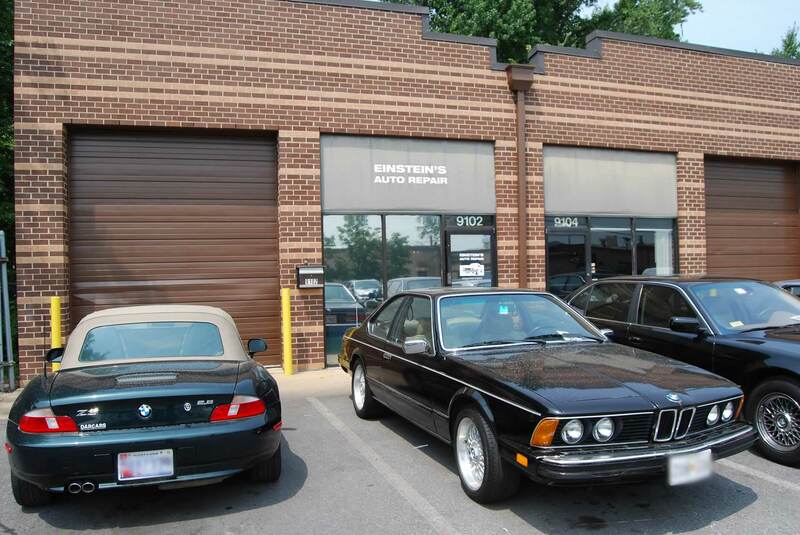 Einstein’s Auto Repair was founded by Gary Davis, a BMW enthusiast with a niche for fixing things. In his early days as a full-time master technician at a BMW dealership, Gary was known for his ability to accurately diagnose and repair some of the most complex problems that were brought to the service department. He soon began repairing cars part-time out of his garage at home while working full-time at the dealership. Before he realized what happened, his part-time home business outgrew the capacity of his garage and driveway. It became so overwhelming that in 2002 he went full-time in his own business and started Einstein’s Auto Repair. Since opening in 2002, the mission at Einstein’s Auto Repair has remained the same to this day – Quality BMW Repair at a Fair Price. This mission is at the heart of what Einstein’s does, with honesty and integrity at the forefront. Einstein’s works with each customer in the most sensible manner to ensure the customer the highest possible quality repair at an affordable, fair price. Ultimately, Einstein’s desires all of their customers to be happy, not only with the repairs that are done, but also with the experience. We are not here just to make money, but to serve our customer’s best interest in the most transparent way possible… Our goal is to help our customers see the big picture in terms of what work needs to be done with their vehicle so that they can make the best informed decision. Einstein’s is a locally owned, personable company built on relationships, and operates in a family-like atmosphere. Einstein’s is Better Business Bureau (BBB) Accredited and is also a member of the National Federation of Independent Business (NFIB). Einstein’s technicians have over 60 years combined experience specializing in BMW’s; they stand behind their work with a standard 1 year minimum warranty. If your BMW needs service or repairs, feel free to Call Einstein’s with any questions you may have or to schedule an appointment. You may also conveniently Schedule an Appointment online. We look forward to hearing from you.